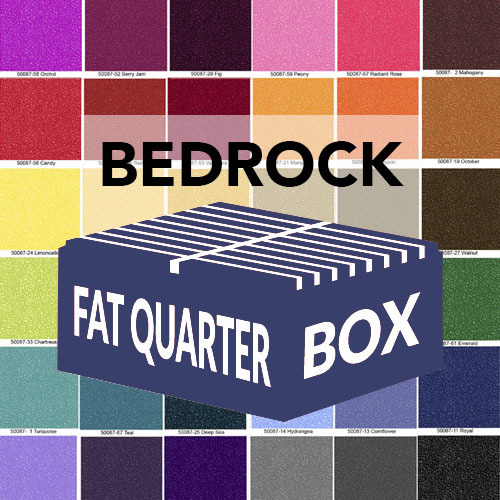 Don't miss out on our latest Fat Quarter Box featuring (70) colors from the Bedrock collection. Also available are Mary's Blenders, 1930s, and Civil War, each with (100) assorted fat quarters. 70 Fat Quarter pieces from Bedrock fabric.